On its second year, the Jolly University Tour this 2015 goes to 15 competing schools and one of them is Letran College in the walled city of Intramuros. Colegio de San Juan de Letran is quite a popular school and its been around for ages. Think Jose Rizal. The Jolly University Tour aims to promote not only culinary lessons but also aims to bring about the creativity of the competing teams within the school. The winning team would then compete with the other schools to win the cook-off challenge and join the Jolly University Boot Camp. Chef Mitchie Sison points out that "passion" is very important in order for one to be successful in life. There's also the need to fire that passion because without any action, your dream to succeed will just go to waste. 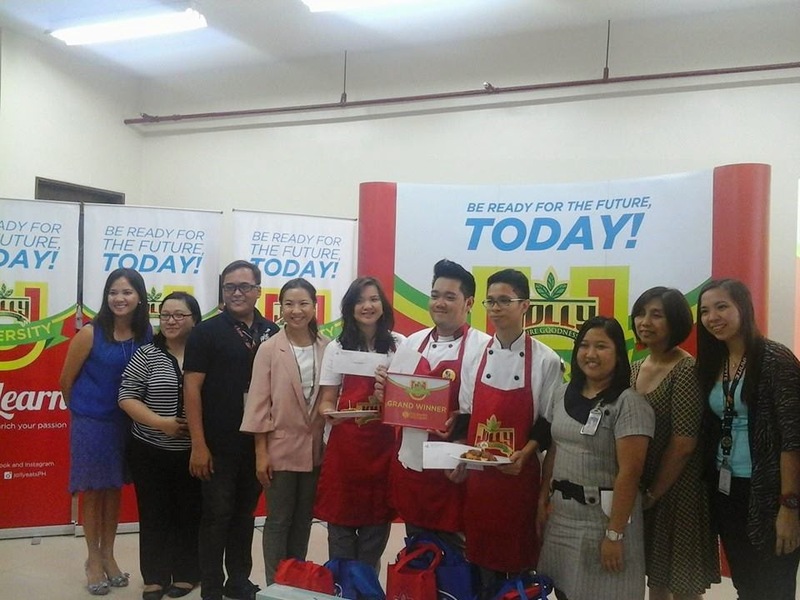 Ms. Nina Daza- Puyat, EIC of Appetite Magazine gave the future chefs and the chefs-at-heart some encouraging words about cooking and promoting Filipino food in other countries. She also stresses that the world is now ready to embrace Filipino cuisine with open arms as what happened in Spain when she attended a food expo there. Here's the winning team- Queen Mary Ann Boliche, Acel Jeff Beso, and Cyril Jerome Manning. Congratulations !!! 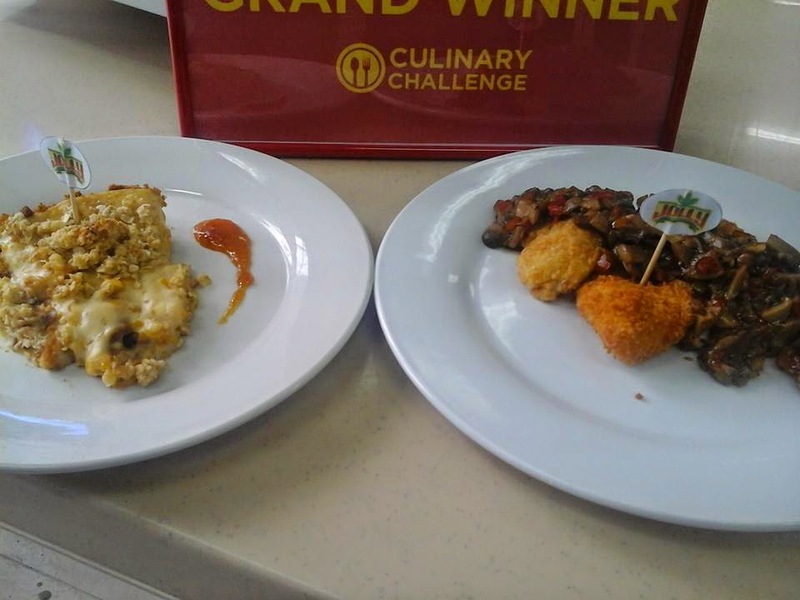 And here is the team's winning creation- Crispy Chicken with Mushroom Sauce (right photo), and Mandarin Crumble Pie (left photo).